The combination of a control valve and a measurement channel is perfectly suited to the regulation of low flow rates (from 1 l/s) in a single network. 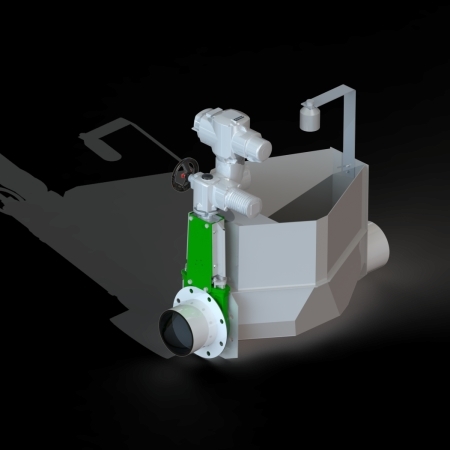 It ensures the reliability of stormwater runoffs. Measuring channel equipped with a chicane ensuring a stable water level regardless of the water pressure upstream. 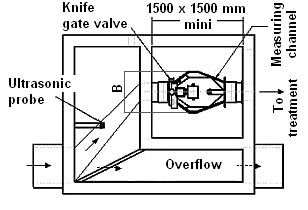 Knife gate or motorised wall-mounted valve with a minimum diameter of 200 mm. Full opening of the valve in the absence of flow and in case of clogging detection. 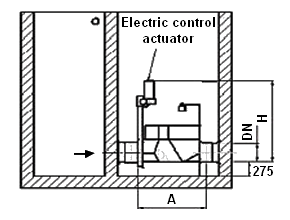 Operation ensured by a control cabinet associated with an ultrasonic probe. (H above ground 1'020 L 630 D 270 mm). Measuring channel made in AISI 304 L stainless steel. Dimensions in mm. Weight in kg. Assembly and commissioning provided by our technical department.